Costume from the section Amazon in the band Genesis. 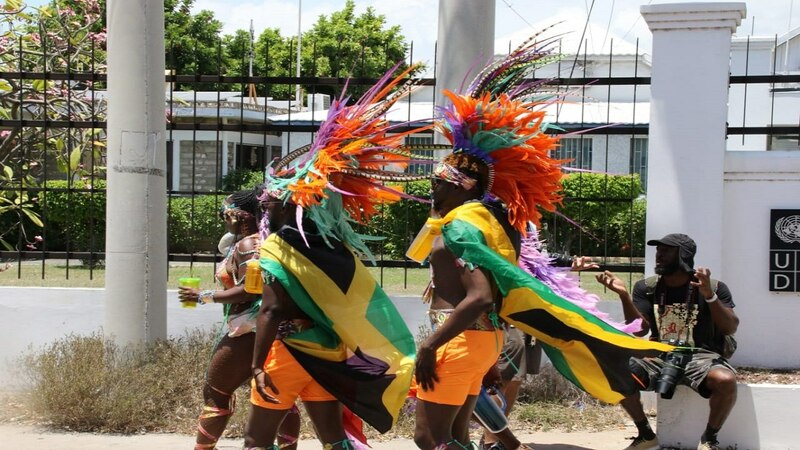 Guyana's first Carnival will kick off from Friday, May 18 to Sunday, May 27. The inaugural event is already starting off with a packed calendar including Kes the Band's Tuesday on the Rocks concert, Destra Garcia in concert, Tribe Ignite and a number of Trinidad fetes as well as Guyanese events. This Carnival is not to be confused with Mashramani, celebrated in February in observation of Guyana's Republic Day and which has been considered Guyana's version of Carnival. We spoke to the organisers of the Carnival to find out about the event, their vision and why they saw the need for another Carnival festival. Loop: Who are the people behind Guyana Carnival? Is this a private initiative and is there any Government involvement? Guyana Carnival: Guyana Carnival 2018 is a private initiative but nothing can be done without the blessing and support of the Government. We are grateful for the Government and civil society's support. We are also thankful for our private partners that make up the Carnival committee as well as our sponsors such as DDL, Ansa McAl, Massy, GWI, Exxon Mobil, Fly Jamaica, GTT, Liat and many others. Without them, none of this could be possible. Loop: Guyana already has Mashramani, which is seen as Guyana’s Carnival, why the need for another Carnival product? GC: Mashramani is focused on Republic Day and we will always fully support it while Carnival is celebrated during Independence. We believe that Mash is more of a cultural experience but with Carnival, we want to bring more of a party vibe. Loop: How are the two events different? GC: Carnival is aimed at boosting our tourism product and creating events that Carnival chasers from around the world would want to fly here to be a part of. Mash is broad-based and delves into to plays, calypso competitions etc. Loop: What is the vision for this Carnival? GC: We hope to see visitors and locals having fun together in the revelry that is planned. There are so many events that are new concepts to Guyana that we are excited to introduce them to our nation. Loop: There are a lot of T&T carnival products in your Carnival, tell me who you have partnered with this year to make Carnival possible? GC: We have partnered with several Trinidadian Soca stars that are loved here in Guyana like Machel, Destra, Kees, Voice, Kerwin Dubois, Shal Marshall, Nailah Blackman, Ravi B and many others including Jamaican Dancehall star Spice. 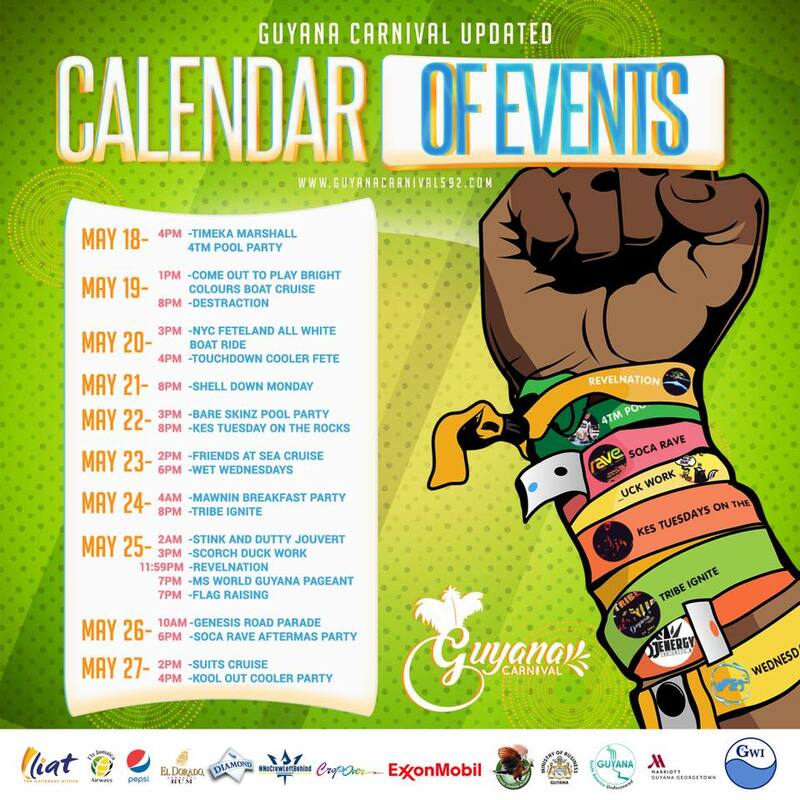 Loop: What Guyanese events are there on the events calendar for Carnival? GC: Our very own songstress Timeka Marshall is starting things off on Friday, May 18 with her party called 4TM. Festival Avenue is also set for Main street from May 18 to the 25 where Guyanese arts, crafts, music and food will be on sale for all of our visitors to enjoy. Shell Down Monday is also a fully packed DJ event that will showcase some of the best local DJs in the business. Guyanese artistes Timeka Marshall, Jomo, Big Red, Lil Red, Kwesi Ace, Lil Million and many others will be prominently featured in all events. Loop: Describe the structure of the Carnival, will there be a parade, J'ouvert, competitions etc? GC: There will be a parade on May 26, Independence Day, a Jouvert on the 25, concerts, cooler fetes, beach parties. Loop: Any attempts to develop Guyanese talent in costume design, Soca/chutney etc to make this a true Guyanese product? GC: Of course, we have used local designs in many of our costumes and over 52 news local songs were produced right in Guyana for this very occasion, that is a huge achievement for us. Loop: There is a heavy soca presence for Carnival but Chutney Soca is also big in Guyana, any inclusion of that genre in your Carnival? GC: It will be included of course. Allow us to point out that this is our first Carnival in decades and we are testing the waters for everything. As the years go by the Carnival will improve and see a wider range of events and ideas. Loop: How important is it to establish Guyana as a credible Carnival destination given the attention the country is receiving internationally thanks to the expansive oil and gas finds? GC: It is a very critical time for our country. 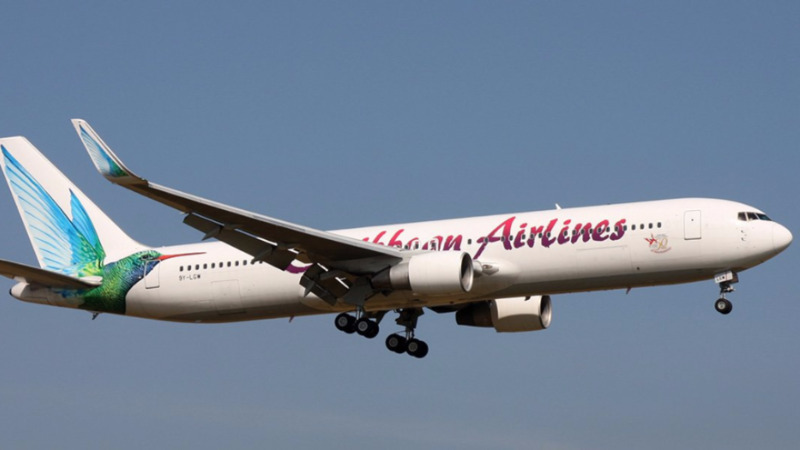 The interest in Guyana is there for business and therefore why not create something like Carnival that will grow and add great significance to the nation's tourism product. Loop: Who are you targeting for this Carnival and from where? GC: Locals and Tourists from everywhere, come one, come all, come dance, come eat, come celebrate Guyana's first ever Independence Carnival with us. Guyana welcomes you for a time of revelry. The bands ready, the costumes ready, the drinks chilling and the food hot. Don't waste time GET THERE! !